We are now less than two months away from the release of Guy Ritchie’s take on one of biggest mystery icons of all time: Sherlock Holmes. 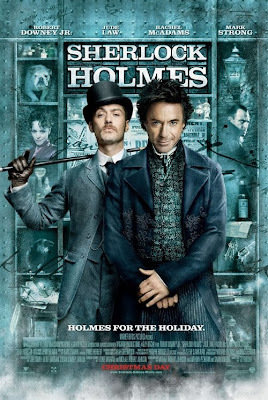 For anyone that has been living under a rock, Robert Downey Jr. will be playing the sleuth, with Jude Law as Dr. Watson. Here is the latest poster for the film.